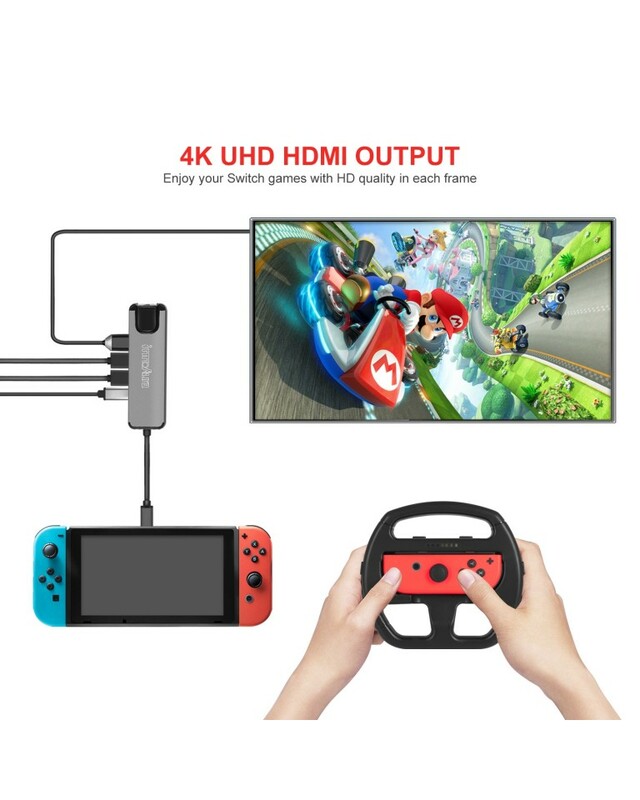 4K UHD HDMI OUTPUT: Extend your Nintendo Switch to HDMI-enabled device with the resolution up to 4K UHD or full HD 1080p. HDMI Port Output: Support TV/display screen resolution up to 4K UHD(3840x2160) 30Hz, downward compatible with 1080P, 720P. 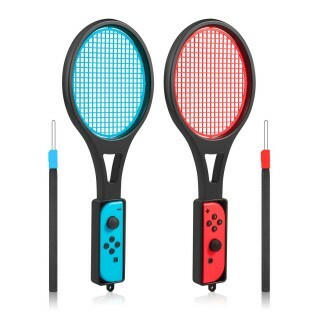 Just enjoy the Switch games on bigger screen. 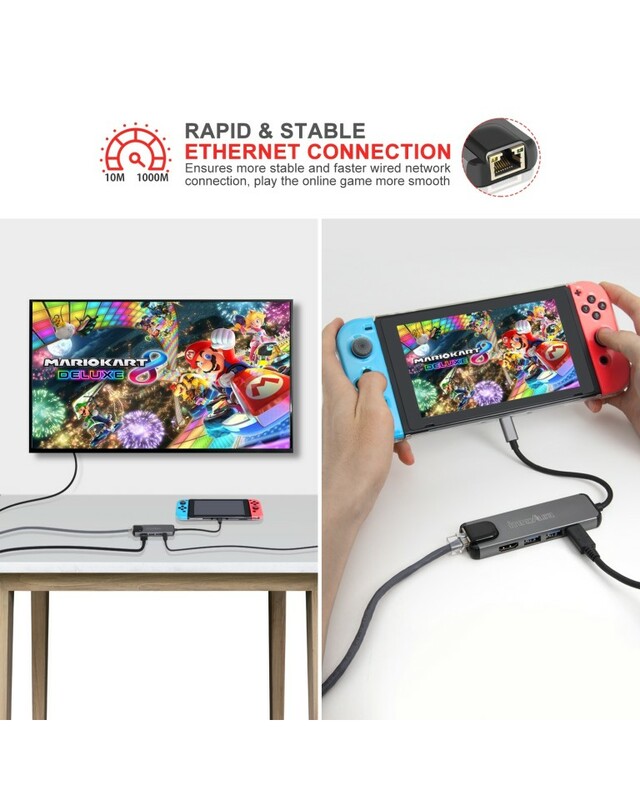 Gigabit Ethernet: Connect Gigabit Ethernet Perfectly solve the problem of wireless network instability, play the Switch online game more smooth. USB-C Charging Port: Up to 20V/3A of power delivery. USB 3.0 Port: Work with devices such as flashdrive, keyboard, mouse or a USB cable for syncing and charging cellphone or other devices.Transmission speed up to 5Gbps, downward compatible with USB2.0 and below. 1. 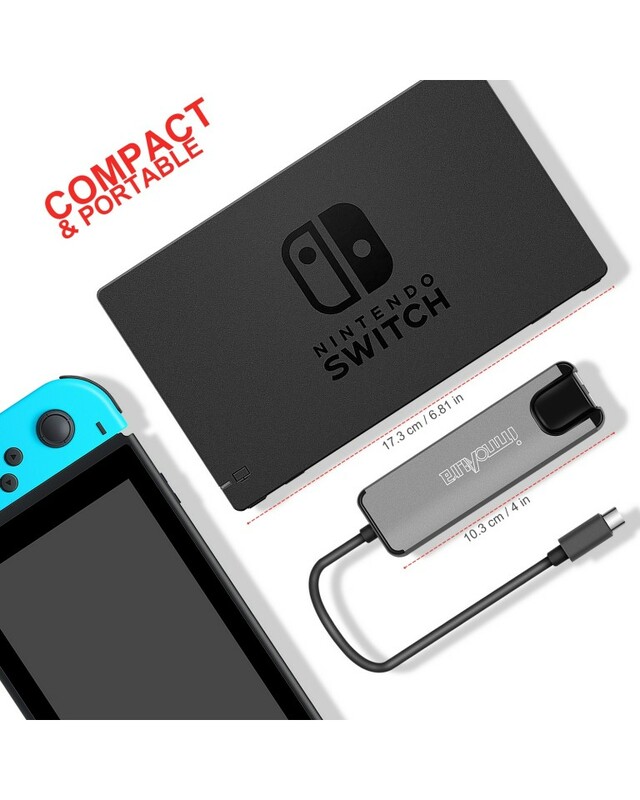 Connect official Nintendo Switch AC Adapter to USB C Hub. 2. Connect HDMI and turn on TV/display screen. 3. 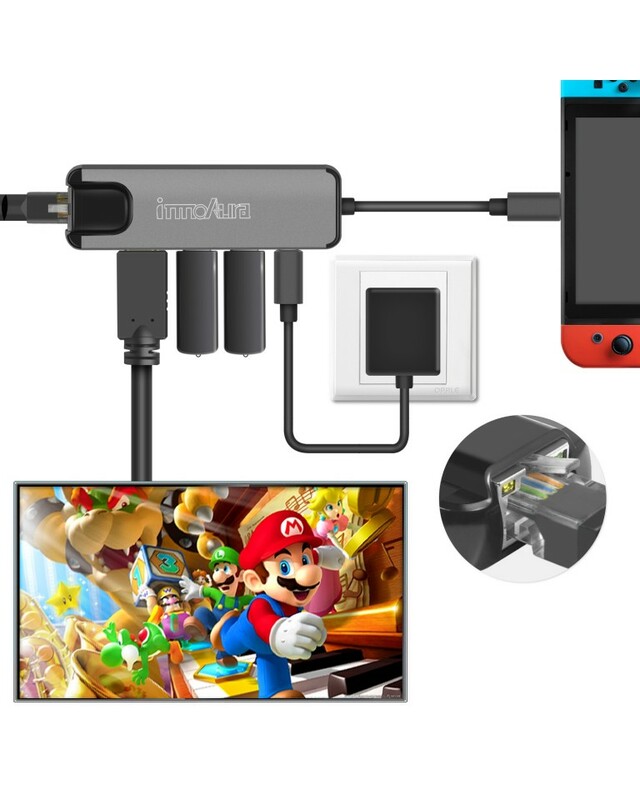 Get Switch to home screen and remove Joy-Cons before plugging the USB C Hub into the Switch. 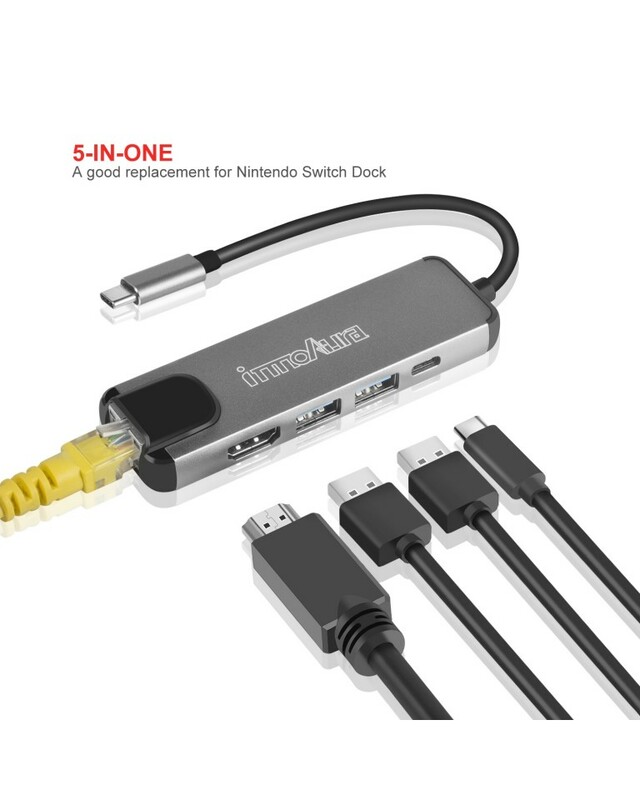 Note: USB C Hub Only, Nintendo Switch Console and other accessories are NOT included. 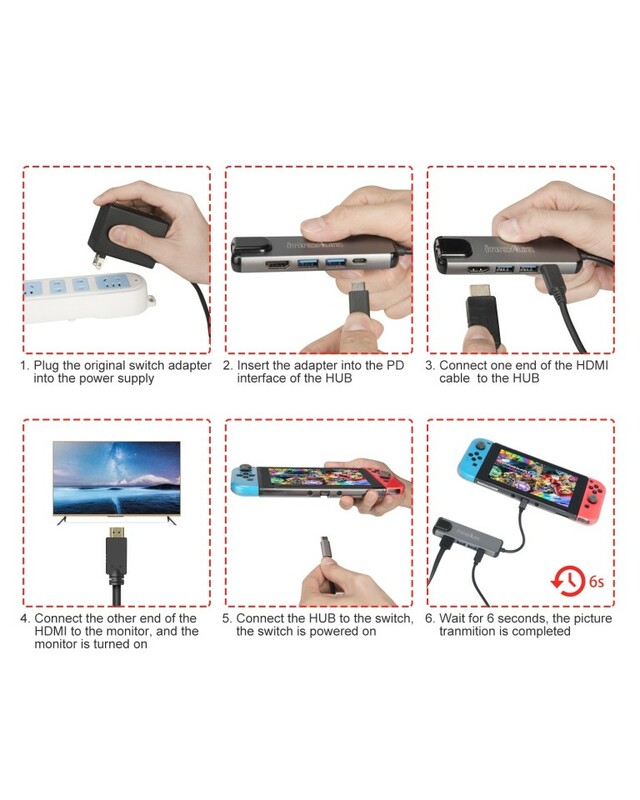 When apply this USB C Hub to Nintendo Switch, please only use the official Nintendo Switch AC Adapter for power supply and follow the steps in the exact order specified. 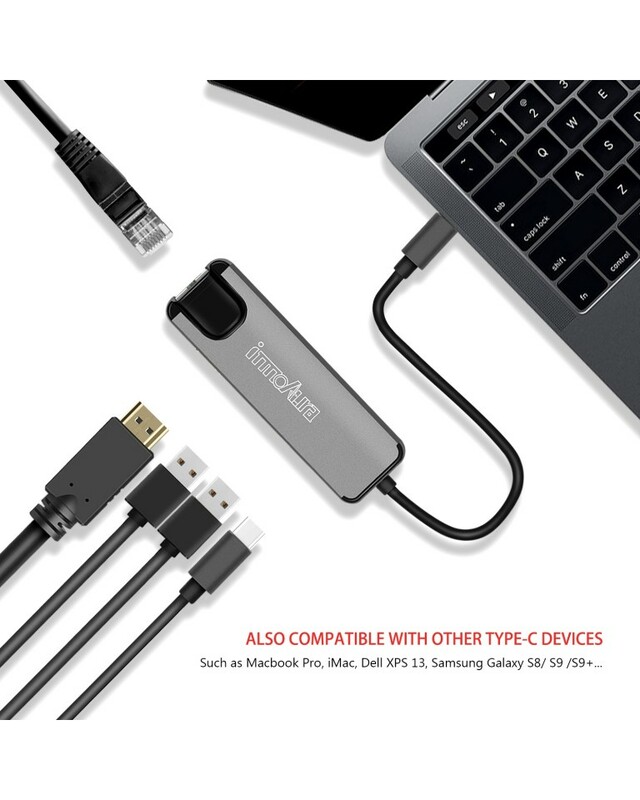 Also Compatible with : Macbook Pro, iMac, Dell XPS 13, Samsung Galaxy S8/ S9 /S9+, HUAWEI MATE10/ 10 PRO, LG G5, HTC10, YOGA 900, Alienware 13, Alienware R2, HP EliteBook folio G1, ASUS ZenBook3 and more Type-C devices.